There is a lot of uncertainty on Pawan Kalyan’s future projects. Several changes happened to the crew of Gabbar Singh 2. Though the movie launched an year back till now it didn’t go to the sets. 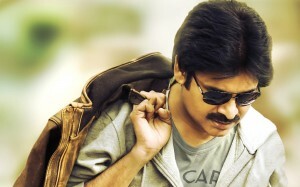 Now recently Pawan Kalyan confirmed he would be doing another 2 films apart from Gabbar Singh. Recently Dasari Narayana Rao has confirmed he will be producing one movie with Pawan Kalyan. A new title ‘Sardar’ has been registered in the film chamber under Pawan Kalyan Creative Works. It means Pawan will be producing and acting in this movie. Is this the replacement name to Gabbar Singh 2 or it’s a new project title is yet to be known.